As a reseller of SPV SPINTEC, PDS offers a variety of different high-speed spindles, hydraulic chucks and accessories. There are many applications suitable for SPV SPINTEC high speed spindles including deburring, drilling, milling or grinding and more. With a diverse array of choices and speeds up to 90,000 RPMs, the spindles will help modernize your machines for the future. Hydraulic tool holders with the highest precision for accurate and stable machining, standard chucks, pen-chucks, extra short or extended holders — we supply the SPV SPINTEC hydro chuck that is perfect for your process. SPV SPINTEC also manufactures special and custom chucks designed according to your needs. 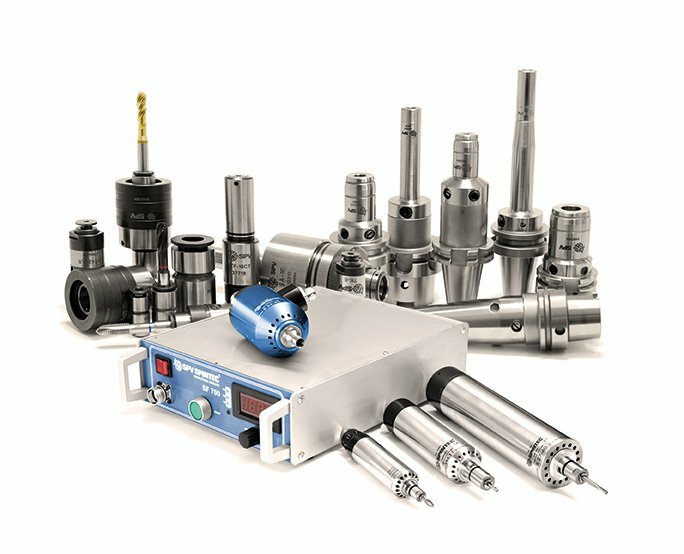 SPV SPINTEC offers a variety of tapping devices, including floating, adjustable torque-clutch and tapholders for fast tool changes. Combining different components can result in the perfect solution for your tapping process.